Representing employees with wage and hour disputes, minimum wage and overtime, civil rights claims over discrimination, and human rights violations. Class actions are pursued on behalf of a class or group or collective of people with a common issue of law or fact. Litigating for foreign clients in America, and conducting loan transactions and due diligence for micro finance institutions and worthwhile clients, and pursuing human rights. RJ Gaudet & Associates LLC is a law firm registered in Seattle, Washington with a foreign legal entity registered in El Paso, Texas. The firm was established by American lawyer Robert J. Gaudet, Jr. while he was studying complex litigation in Europe under a Fulbright grant from 2007 to 2008. Volunteers are welcome to help pack food that will be distributed to homeless teens and others in the Puget Sound area around Seattle. The volunteer service will take place from 10 am to 12:00 noon on Saturday, June 18, 2016 at a warehouse in Renton, Washington that is marked “Emergency Feeding Program.” Volunteer efforts for this Saturday are being coordinated by Lawyers Helping Hungry Children (LHHC) board member Marla Zink who can be reached at marla@washapp.org. Children, family, and friends are welcome. Robert J. Gaudet, Jr. of RJ Gaudet & Associates LLC is a proud board member of LHHC. 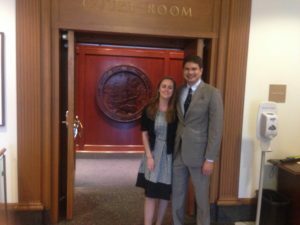 Karin Gaudet-Asmus and Robert J. Gaudet, Jr. standing before the door to the courtroom in the California Supreme Court immediately after the oral argument on Friday, May 27, 2016. In oral argument on Friday, May 27 in Laffitte v. Robert Half Int’l, No. S222996 (Cal. ), the California Supreme Court gave some indications that it might require class counsel in California to support motions seeking attorney’s fees a percentage of a common fund with a lodestar cross-check. The court showed interest in the possibility of putting boundaries around the discretion of trial courts, on awarding fees, including but not limited to requiring class counsel to submit time sheets, appointing a guardian for the class, or limiting the amount of the lodestar multiplier. A “lodestar cross-check” would require class counsel to present hours expended, hourly rates, and a “multiplier” (e.g. 2 or 4 or another number) to demonstrate that the amount of fees sought as a percentage is similar to the cross-check amount. The underlying decision on appeal, Lafitte v. Robert Half Int’l, Inc., No. B249253, 2014 Cal.App. Lexis 1059 (Cal. 2d App. Dist, Div. 7, Oct. 29, 2014) was a wage and hour class action that settled for $19 million. 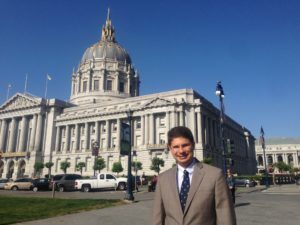 On Friday, May 27, 2016, a full panel of seven justices heard Berkeley lawyer Lawrence Schonbrun’s oral argument challenging the way California class action lawyers are paid. On behalf of class member Brennan, Mr. Schonbrun argued that calculating attorney’s fees as a percentage of a common fund is unlawful and that fees should be calculated on the basis of hours worked rather than as a percentage of a settlement. The Supreme Court’s decision on this argument, which will be released within 90 days after last Friday’s hearing, is likely to have significant implications for class action practice in California. Does Serrano III Apply to Common Fund Cases? At the start of the hearing, Chief Justice Cantil-Sakauye pointed out that Mr. Schonbrun’s argument rested on footnote 23 of the Serrano III decision which held that the “starting point of every fee award … must be a calculation of attorney’s services in terms of he time he has expended on the case.” She said, “it seems odd we’d put the language in a footnote” if it was so central to our decision. She suggested that Serrano III might be distinguished because it was not a “common fund” case in the “first place.” Mr. Schonbrun replied she was “focusing on the wrong point” and that Serrano III addressed the equitable power of a court to allocate fees in common funds. Mr. Schonbrun noted that, although Serrano III was not a common fund case, each one of the two federal cases that Serrano III relied upon, in saying that hours expended are the starting point for a fee determination, was a common fund case. Mr. Schonbrun argued it was “incredulous that the Supreme Court would’ve referred to common fund cases [in Serrano III] and not meant the decision to apply to a common fund.” A common fund is created when class action lawyers negotiate a settlement that pays a certain amount of money (or a “common fund”) to class members. Class counsel often ask for a percentage of this common fund as their attorney’s fees. 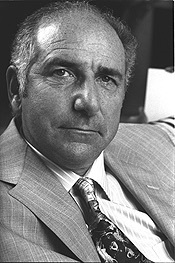 Lawrence Schonbrun, the Berkeley lawyer who represented Appellant class member Brennan in argument before the California Supreme Court. On behalf of appellees, class counsel Kevin Barnes argued the language in Serrano was dicta and the Supreme Court would not have to reverse Serrano to affirm the lower court’s award of fees as a percentage of the settlement. Since the Chief Justice was not the only justice posing questions that involved distinguishing Serrano III from common fund cases, it seems possible the Supreme Court will rule that Serrano III does not apply. Justice Werdegar, for instance, asked a question that rested on the premise that the court would distinguish Serrano as a case that did not involve a common fund. Given these lines of questioning, the justices might hold that footnote 23 is dicta, as the appellees urged, and hold that the wording in footnote 23 does not apply to a common fund. Given the wide scope of questioning and the long duration of oral argument, even if the justices distinguish Serrano, it seems likely they will offer some guidance or parameters on the issue of attorney’s fees in class actions. Award fees to class counsel at rates charged by “capable, competent” lawyers rather than at the rates charged by “celebrity” lawyers. Mr. Schonbrun delivered a passionate argument, informed by decades of experience as objector’s counsel, although it was his first time in the California Supreme Court. In oral argument, he summarized the opposition as: “they want more money. They want more money. That’s what this case is about, and you shouldn’t give it to them.” Mr. Schonbrun argued the percentage method results in a windfall for counsel at the expense of the class. Mr. Schonbrun noted that, if fees were awarded as a percentage, then it would be “inappropriate” to use the same percentage – e.g. 33.33% – that is taken from “single client-lawyer” contingency fee agreements. The lower court had awarded Mr. Barnes 1/3 of the settlement fund as attorney’s fees. At times during the hearing, the justices seemed sympathetic to Mr. Schonbrun’s argument that the percentage method is flawed. Judge Liu remarked, “there is a House of Cards feel to all of this.” His comparison to the House of Cards – which portrays drug use, murder, and infidelity by politicians – was not a flattering portrayal of the status quo. However, despite these concerns, the general thrust of questioning indicated the justices might preserve the percentage method but subject it to a lodestar cross-check. The justices posed multiple questions about the cross-check. For instance, Justice Chin asked Mr. Barnes, appellees’ counsel, “is there any reason not to cross check each time?” Mr. Barnes did not really answer the question but said there was no need for a cross-check in a case he worked on for seven years and for which he was awarded 1/3. Therefore, Justice Mariano-Florentino Cuéllar asked again, “why not have a cross check in every case?” Mr. Barnes said it would be a “burden” on the judge and the parties. A lodestar cross-check is a method by which courts look at the hours expended, multiply those hours by the hourly rates, and then increase the overall figure by a “lodestar multiplier” such as 2 or 4 or 10. Justice Werdegar noted the trial judge had awarded fees as a percentage of the settlement fund and, then, tested it with a lodestar cross-check. Mr. Schonbrun responded they can “attempt to falsely justify a percentage fee” by using a cross-check that supports the same figure. Justice Chin asked if the “multiplier” that is often used to increase the lodestar is “based on the risks in the case.” Mr. Schonbrun argued a lodestar cross-check can be misused for “reverse engineering” to support an inflated fee that is first calculated under the percentage method. Picking up on this language, both Justice Chin and Justice Liu used the term “reverse engineering” in their questioning. 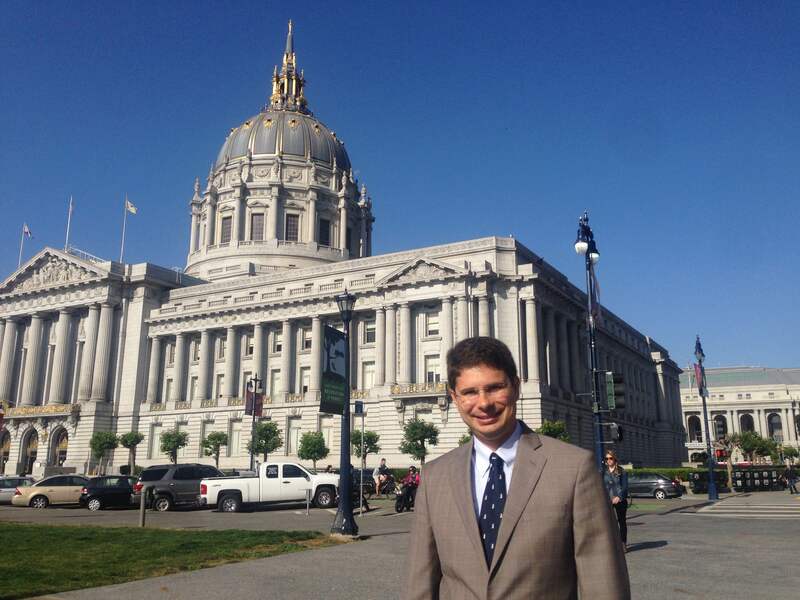 Robert J. Gaudet, Jr. standing in front of the San Francisco City Hall adjacent to the building that houses the California Supreme Court, Friday, May 27, 2016. Even more troubling are our findings regarding the role of the courts in the fee-setting process. We found no evidence that the actions taken by the courts move class counsel’s fees closer to the “right price … In sum, there is little to celebrate in the current state of affairs, and reason to think that even small improvements in the fee-setting process might yield significantly better results. Using this source, Mr. Schonbrun argued the percentage method is flawed and the Supreme Court should reinforce the message of Serrano III that the lodestar is the starting point for every fee award. Indicating her disagreement with Mr. Schonbrun, Justice Werdegar said, “tell us the flaws of the percentage method with the lodestar cross-check.” This question indicated, as did others, that the justices might prefer to keep the percentage method but require a lodestar cross-check. There was very little questioning about what might happen if the percentage method were rejected. Mr. Schonbrun argued the Supreme Court should require trial courts to appoint a guardian to look after the interests of the class when class counsel ask for attorney’s fees to be awarded out of a settlement fund. When Justice Werdegar asked, “what should we do,” Mr. Schonbrun responded they should appoint a guardian in all cases over $1 million. Justice Werdegar said it was “too late” for this case but Mr. Schonbrun indicated they “can send it back” to the trial court. Chief Justice Cantil-Sakauye asked, “has any other court required a guardian?” Mr. Schonbrun said no but argued the first question was to determine if he was right, “is the class abandoned?” Although Mr. Schonbrun did not mention it in his argument, courts have appointed Special Masters, magistrates, and experts to assist with the administration of class actions. Justice Werdegar asked, “was there a motion for a guardian,” indicating the justices might dispose of this suggestion on procedural grounds for not being properly raised in the lower courts. Mr . Schonbrun replied, “no” but said the Supreme Court had a fiduciary obligation to make sure the class is the predominant party. He suggested the court had standing to consider the issue under a fiduciary duty to protect class members. The amount of legal power that was deployed against Mr. Schonbrun was staggering. In addition to an opposition brief filed by class counsel Kevin Barnes, there were five opposition briefs filed by amici curiae, i.e., friends of the court. One of them was filed on behalf of eight class action law professors by San Francisco-based class action firm Lieff Cabraser. Mr. Schonbrun pointed out in his reply brief that some of these professors had served as paid experts on behalf of class counsel in other cases and, even, served as class counsel themselves, so they had obvious biases. In the tobacco litigation, some of the same experts had supported fees as high as $21,000 per hour, as Mr. Schonbrun pointed out in a response to an amicus brief, because counsel (including Lieff Cabraser) were not satisfied with an award of $7,700 per hour as described by the Atlantic Monthly in an article titled “Greed on Trial.” Other amici briefs were filed by the Impact Fund, Western Center on Law and Poverty and 14 unspecified California legal service organizations; Prof. William Rubenstein; Consumer Attorneys of California; and Working Wardrobes. Asked how they should write the opinion if they agreed with Mr. Barnes, Mr. Barnes said the justices should tell trial courts they have “discretion, it is up to you.” Justice Mariano-Florentino Cuéllar noted, “discretion is a powerful word.” His comment and the generality of Mr. Barnes’s responses seemed to question whether the Supreme Court wants to leave full and unfettered discretion up to trial courts. Testing the boundaries, Justice Mariano-Florentino Cuéllar asked Mr. Barnes “what do we say about the limits of a trial court’s discretion?” Mr. Barnes did not give any examples. Apparently provoked by Mr. Barnes’s failure to note any limits, Justice Liu said it raises a “policy question” and asked “what is this based on” and “what justifies a multiplier except reverse engineering back from the multiplier?” Mr. Barnes answered there is a “fair market value to these services.” Justice Liu asked, “by fair market value, do you mean what is adequate incentive to get a lawyer to take it?” Mr. Barnes replied, yes, and said the potential for default is more than the average case. Trying to help Mr. Barnes answer Justice Liu’s question, Justice Chin said, “so, it’s a cross-check, not reverse engineering?” Mr. Barnes replied “yes.” Justice Chin’s leading question, again, demonstrated the court might be leaning towards requiring a lodestar cross-check in its pending decision. Justice Kruger asked Mr. Barnes, “if the [trial] court does not exercise a cross-check, how does the court know [the fee awarded as a percentage of the settlement] is not more than necessary?” Mr. Barnes answered, “based on the trial court’s experience.” Justice Werdegar asked how class counsel’s fiduciary duty works at the stage where they request fees, and Mr. Barnes replied, “the marketplace.” Justice Werdegar, perhaps trying to help Mr. Barnes elaborate upon his incomplete answer, asked “counsel’s integrity?” Mr. Barnes took the bait and said, “we have a client,” which suggests that he might have presented his fee petition to the class representative for review. When both Justice Mariano-Florentino Cuéllar and Justice Werdegar asked whether a trial court should review hours expended in time sheets, Mr. Barnes said the trial court had “discretion” and did not have to review time sheets. Mr. Rubin’s candid responses were not likely to comfort the justices that there are reasonable bounds on discretion. Justice Chin asked if “we should leave it to the discretion of the trial judge” and Mr. Rubin said, “yes.” Chief Justice Cantil-Sakauye seemed eager to bolster Mr. Rubin’s argument and asked him a leading question, noting these “cases go to highly specialized courts with staff selected for their experience with civil matters – that’s all they do. They do not got to general assignment, correct?” Mr. Rubin said, “yes.” The Chief Justice’s question indicates she might prefer to leave the choice of methodology up to the trial court. Justice Liu’s comments are instructive and possibly telling about the Supreme Court’s search for boundaries on a trial court’s discretion. Although Justice Liu had some of the strongest words of criticism, comparing a trial court’s discretion with the “House of Cards,” he also indicated “we have to check these percentage fees … [with the] lodestar [cross-check].” In other words, although it may seem like the House of Cards, Justice Liu does not seem inclined to overturn it by prohibiting the percentage method. Given the line of questioning at the hearing, it seems possible the Supreme Court will impose new parameters, e.g. the use of a lodestar cross-check or a court-appointed guardian, on future fee applications in California state courts. [i] Robert J. Gaudet, Jr. has served as class counsel in employment, consumer, breach of contract, discrimination, and other class actions and previously objected to class settlements and fee applications. He is licensed in Texas and Washington and cooperates with lawyers in other jurisdictions. 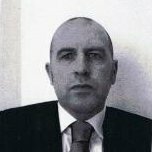 Mr. Gaudet is the principal of RJ Gaudet & Associates LLC. [ii] Serrano v. Priest (Serrano III), 20 Cal.3d 25, 141 Cal.Rptr. 315 (Cal. Oct. 4, 1977). [iii] Lynn A. Baker, Michael A. Perino, and Charles Silver, Is the Price Right? An Empirical Study of Fee Setting in Securities Class Actions, 115 Colum. L. Rev. 1371 (Oct. 2015). 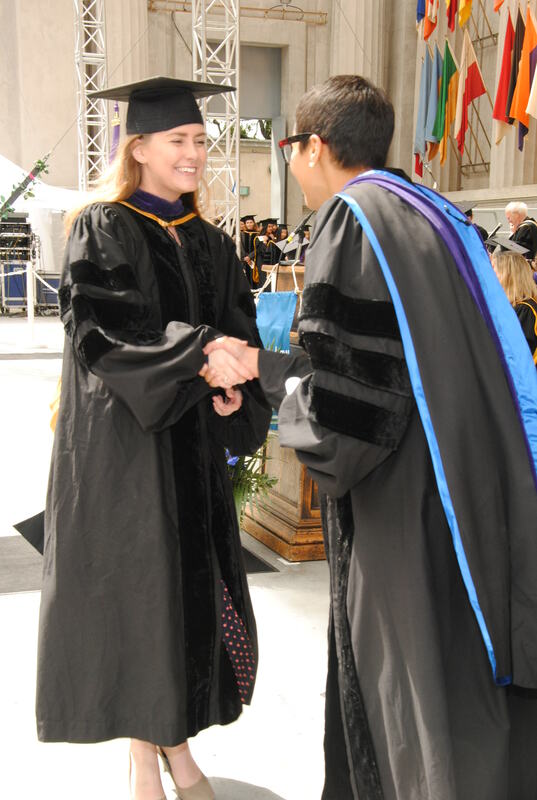 At the Berkeley law school graduation ceremony on May 13, 2016, Karin Gaudet-Asmus gave a speech as president of the LL.M. class with 200 students. There were thousands in attendance at the Hearst Greek Theater in Berkeley. 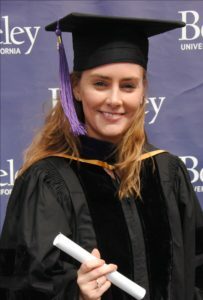 Karin Gaudet-Asmus at the graduation ceremony for the Berkeley LL.M. Program. The ceremony celebrated the end of the one-year LL.M program with students from nearly 50 different countries as well as the end of the three-year J.D. program. During her term as Class president, Mrs. Gaudet-Asmus collaborated with students to organize cultural events, an end-of-the year ball at the Chabot observatory in Oakland, a boat trip around the San Francisco Bay, a new public service certificate for LL.M. graduates, and other events and celebrations. She also initiated a nationwide online network of LL.M. students at leading law schools. She tried to organize an event with all of the major bar exam preparation courses so students could compare their services and rates, but most of the prep courses refused the invitation to participate. As noted in her five-minute speech, an official copy of which may be viewed at this link, Mrs. Gaudet-Asmus intends to return to El Paso, Texas with her husband, Robert Joseph Gaudet, Jr. An unofficial recording of her speech, available at this link, includes the Berkeley law school dean’s introduction of Mrs. Gaudet-Asmus in which the Dean mentions Mrs. Gaudet-Asmus’s interest in returning to El Paso. Mrs. Gaudet-Asmus was elected LL.M. Class president in a contested election with at least five candidates from France, Mexico, Brazil, and Japan. To the best of recollection, she was the first female LL.M. class president at Berkeley. Classmates and officials at the Advanced Degree Program office noted she did an amazing job as Class president. One student remarked she gave the best speech at graduation. As a student, Mrs. Gaudet-Asmus earned “high honors,” the highest available grade, from some of her courses. She enjoyed the opportunity to learn from outstanding, knowledgeable, and nationally known instructors such as Judge William A. Fletcher of the U.S. Court of Appeals of the Ninth Circuit and Prof. Burt Neuborne of NYU who litigated class actions on behalf of Holocaust survivors and taught at Berkeley in the 2016 Spring term. In addition, Mr. Joseph Federici, who is Of Counsel at RJ Gaudet & Associates LLC, graduated this month from Georgetown University’s M.S. in Foreign Service Program. As a graduate student, he served as a teacher’s assistant for former Secretary of State Madeleine Albright and improved his understanding of Afghanistan’s native language. Congratulations to Mrs. Gaudet-Asmus and her classmates for their hard work and to Mr. Federici. On April 27, 2016, the European Union (EU) issued a new privacy regulation that is binding, with direct legal effect, upon all Member States of the European Union. The EU’s publication of the General Data Protection Regulation is significant for two reasons: firstly, it recognises the importance of protecting EU citizens’ personal data rights; and secondly, it recognises the utility of class action procedures. Right to privacy of personal information. Article 8(1) of the Charter of Fundamental Rights of the European Union provides that everyone has the right to the protection of personal data concerning him or her. In short, it protects the privacy of personal data. The EU’s General Data Protection Regulation, which was published in the Official Journal of the European Union on the 27th of April 2016, is aimed at giving greater protections to that right. As well as providing the right to lodge a complaint with the supervisory authority of a Member State, the Regulation provides that “each data subject shall have the right to an effective judicial remedy where he or she considers that his or her rights under this Regulation have been infringed as a result of the processing of his or her personal data in non-compliance with this Regulation” (Art 79(1)). That includes a right to receive compensation, for material or non-material damage suffered as a result of an infringement of the Regulation, from the data controller/processor responsible for the violation of a personal data privacy right (Art 82(1)). Given the high cost of legal services within some EU Member States, and the “chilling effect” that an order to pay the winning side’s costs could have on a person’s decision whether to initiate legal proceedings to enforce their rights, it is welcome that the Regulation introduces measures which will give substantive effect to the right to privacy guaranteed by Article 8(1) of the Charter of Fundamental Rights. Class actions to enforce privacy rights. Article 80 of the Regulation provides for two types of class action procedures: (1) an opt-in procedure whereby a data subject can mandate a not-for-profit public interest body, which is active in the field of protecting data rights, to issue proceedings on his or her behalf; and (2), a Member State may provide that a not-for-profit public interest body, which is active in the field of protecting data rights, can issue legal proceedings on behalf of data subjects if it considers that the rights of data subjects have been infringed—independently of the data subjects. Whether or not Member States choose to exercise option (2), the supremacy of EU law over national law and the direct effect of EU regulations means that, even in Member States where the domestic legal system does not provide for class action procedures, data subjects (EU citizens) within all 28 Member States can avail themselves of a class action procedure to seek an effective judicial remedy where they believe that a data controller/processor has infringed their personal data rights. Conclusion. The new Regulation is a leap forward in the sense that it creates, for the first time, a class action procedure that all European citizens can use in every one of the Member States of the EU. The procedure is limited to the enforcement of privacy rights under the Regulation. And it is also limited to actions brought by non-profit public interest bodies. In other words, private citizens are not entitled, by this Regulation, to file a class action lawsuit, as in the United States. But it is a step forward that the EU has not taken in other substantive areas of law, such as anti-trust/competition law or consumer protection. On April 29, 2016, Robert J. Gaudet, Jr. made a presentation by Skype to law students at Udmurtia State University in Izhevsk, Russia. 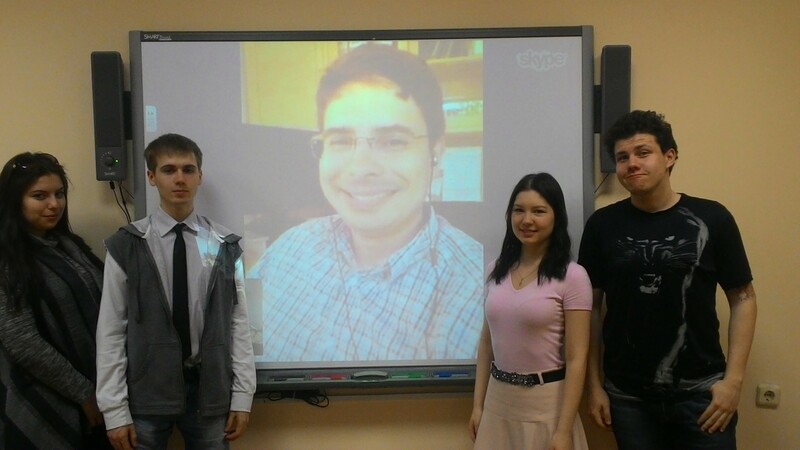 The Skype sessions are part of a six-year long program that is organized by Udmurtia State University in cooperation with the American Bar Association Section of International Law International Human Rights Committee (“IHRC”) which Mr. Gaudet used to co-chair for two years and for which he now serves as a member. Mr. Gaudet’s spoke about American class actions. There are no procedures for class actions in Russia so it was a novelty that one of the students had previously heard about. Based on developments in Europe, where most countries did not have class actions 10 years ago but roughly half the countries now have class action procedures (albeit rarely used), Mr. Gaudet predicted that class actions would come to Russia within 10 to 30 years. “They’re a good idea,” Mr. Gaudet explained in his presentation. In a discussion during the presentation, Mr. Gaudet commented on the recent death of the musician Prince who has been discussed in the American media over the past week as a “worldwide icon.” As it turns out, he is not an icon – at least with the new generation of twenty somethings and teens – in Izhevsk, Russia. None of the students in Mr. Gaudet’s presentation had heard of the artist formerly known as Prince. One student had heard of Prince’s former girlfriend, Kim Bassinger. They were aware of Charlize Theron, “of course” they said, who appeared in a movie about class actions called “North Country” that Mr. Gaudet mentioned during the presentation. Mr. Gaudet was prepared for his session by Andrew Solis, a law student at Southern Illinois University, who has been organizing presentations with mostly Illinois lawyers over the past year under the guidance of his Dean Cynthia Fountaine who is a member of the IHRC and has shown sustained commitment to the Russia Skype program over the past few years, enabling it to continue. Past organizational support was provided by IHRC member Anna Caldwell. The Russian Skype program is an invaluable way to build bridges between cultures and legal regimes. Izhevsk is roughly 14 hours away, by train, from Moscow, and it’s the site where tanks and rifles were manufactured during the Cold War. General Kalashnikov, who invented the famous rifle by his name, lived and was based in Izhevsk until his death a couple of years ago. Therefore, it is especially significant that the IHRC and the law department at Udmurtia State University have sustained this program over the past six years to develop bonds of mutual understanding, trust, and education between two countries that are often seen, in headlines, as being in geo-political and military tension with each other. American lawyers who wish to make a presentation to the law students in Izvevsk may contact Mr. Gaudet, Mr. Solis, or the IHRC leadership for more information. It could be a short presentation of 20 to 30 minutes with a list of vocabulary that is sent to the organizers in advance. Time is left for discussion and a question-and-answer period. Presentations generally last, in total, one hour. CLE credit may be available for preparation and lecture time although lawyers will have to seek CLE credit through their respective bar associations. The National Employment Lawyers Association (NELA), to which Mr. Gaudet belongs as a member, recently issued a letter to Speaker Paul Ryan in opposition to a Congressional bill that would cripple class actions by requiring an early showing, at the start, that all class members suffered a similar injury. Click here to read NELA’s letter. The bill would require an enormous expenditure of time and money to investigate each and every class member in a class action, some of which contain 9 million class members. This would have to be done without the benefit of discovery from the defendant. The House may soon consider H.R. 1927, the “Fairness in Class Action Litigation and Furthering Asbestos Claim Transparency Act of 2015.” Section 2 of this bill would effectively eviscerate consumer, antitrust, employment and civil rights class actions. The undersigned groups write in strong opposition to Sec. 2 of this bill. While a few modifications have been made to the bill since it was first introduced, what has not changed is the requirement that every person in a class have “an injury of the same type and scope” before the case can proceed. (The word “scope” replaced the word “extent” found in the bill’s earlier version, but this is a distinction without a difference.) Class members must already meet common requirements spelled out in F.R.C.P. 23, which requires that the class as a whole have the same type of injury stemming from the same unlawful conduct. However, a new requirement that every individual in a class have an injury of the same “scope,” proof of which must be established before the case can even proceed as a class, will sound the death knell for most class actions. Many class actions would fail to meet these new requirements including the obligation to prove that class members sustained injuries of the same “scope” as well as the “same type.” Currently, class members are not required to have the same “scope” of injuries and it would take decades for the meaning of this new requirement to be teased out. The current rules only provide the class to show, at the start, that they have similar questions of law or fact. “I am proud of the work that my client, Oikocredit, performs around the world,” said Mr. Gaudet. 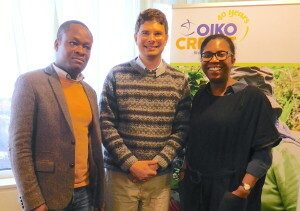 Oikocredit, an ecumenical cooperative based in the Netherlands, recently hired Mr. Gaudet to represent Oikocredit in a loan transaction in the United States. Mr. Gaudet previously represented Oikocredit in similar transactions on which he collaborated with in-house counsel Ben Aidam and business manager Barbara Marcussen. In January 2016, Mr. Gaudet visited Oikocredit’s international headquarters in Amersfoort where he met Mr. Aidam and Ms. Marcussen who was recently promoted to Deputy Director. Ms. Marcussen now manages a portfolio of assets in Africa. RJ Gaudet & Associates congratulates Ms. Marcussen on her promotion and vision for continued growth and pursuit of Oikocredit’s founding values. Although it manages substantial assets, Oikocredit has stayed true to the values of its founding members, such as the World Council of Churches, to help small businesses pursue big dreams, especially in lesser developed countries. Oikocredit provides financial assistance through micro-finance, direct loans to Small and Medium-Sized Enterprises (SMEs), and private equity investments. Over the past five years, Oikocredit’s total assets have doubled to 982 million Euros, an astonishing rate of growth. At a 40th anniversary event in Berlin in 2015, Dr. Konrad Raiser, former General Secretary of the World Council of Churches, noted in an opening speech that the purpose of Oikocredit is to pursue social justice. The World Council of Churches endorsed the establishment of Oikocredit, in 1974, to address an unmet need. Oikocredit (which started with a different name) had just 1 million U.S. Dollars in starting capital. Since then, Oikocredit’s assets have multiplied almost 1,000 times. The field has grown with numerous Micro-Finance Institutions who, sometimes, compete among themselves. The founding principles of Oikocredit are “justice, self-reliance, and economic empowerment for all, with a mission to alleviate conditions of poverty by providing credit and resources to the most disadvantaged, financially-excluded, ‘unbankable’ communities in the world.” Originally, these values stemmed from the faith of Oikocredit’s founding members. Today, hundreds of churches still serve as members of Oikocredit. The mission is supported by a diverse staff with different languages, races, beliefs, and nationalities. Dozens of worldwide offices, in different regions, provide local expertise. The work of Oikocredit has affected millions of lives. In 2014 alone, Oikocredit financing supported 37 million people. Females accounted for 86 percent of all borrowers, and 50 percent of borrowers lived in rural areas. In recent years, Oikocredit expanded its scope to include renewable energy, increased numbers of SMEs, and agricultural cooperatives. Renewable energy projects enable people without electricity to obtain solar-powered lights that students can use for studying at night and which small business owners can use, e.g., for weaving cloth at night. These small, tablet-sized lights are cheaper ($50 or less) than other solar-powered lighting systems which cost more ($192). Oikocredit collaborates with partner Thrive India to provide affordable solar-powered lights as part of a “one child one light” campaign. Oikocredit also partners with BBOXX to bundle together contracts from customers who bought solar home systems that the customers pay off through periodic payments. Those payments are used to secure notes that BBOXX DEARs sells to Oikocredit, secured by the future receivables. In December 2015, Mr. Gaudet was admitted to the U.S. Court of Federal Claims. This admission will be useful for appearing in the Court to prosecute a Fair Labor Standards Act claim and to seek compensation for the victims of vaccinations. Mr. Gaudet currently represents 290 U.S. Customs and Border Protection canine instructors with Fair Labor Standards Act claims against the U.S. Government, and this opt-in class action is being heard in the Court of Federal Claims. Mr. Gaudet works with El Paso lawyer David Kern and San Antonio lawyer Mark Greenwald on this matter. In November, Mr. Gaudet and co-counsel completed a plaintiffs’ motion for summary judgment that was filed with the Court. The lawyers representing the U.S. Government in this matter work in the Civil Division of the U.S. Department of Justice. As a member of this Court, Mr. Gaudet may also represent people who suffer injuries after taking vaccines. They are entitled to file claims with the Court to obtain compensation from a government-financed compensation fund. The Court of Federal Claims processes claims for vaccine injuries and, as noted above, hears cases against the U.S. Government. Applications to the Court require letters of recommendation from two members of the U.S. Court of Federal Claims as well as a certificate of good standing from a state bar association. Robert Gaudet represents an elderly Louisiana landowner who is being pressured to enter into a lease to drill for oil and natural gas in Lincoln Parish through fracking, which has been used in the vicinity. Fracking is a fairly new and successful method for finding natural gas. However, there is some evidence it causes water pollution and even earthquakes. Although some Louisiana lawyers who routinely handle oil and gas leases do not think there is a serious risk of earthquakes from fracking, there is some evidence that earthquakes have resulted from fracking in various locations around the world. In Oklahoma, the American Bar Association journal recently reported there are 300 times more earthquakes, after fracking, than in the past. An HBO documentary from 2010 reported on the consequences of fracking in Pennsylvania, Colorado, and Wyoming where water wells were polluted and kitchen sink faucets caught fire. 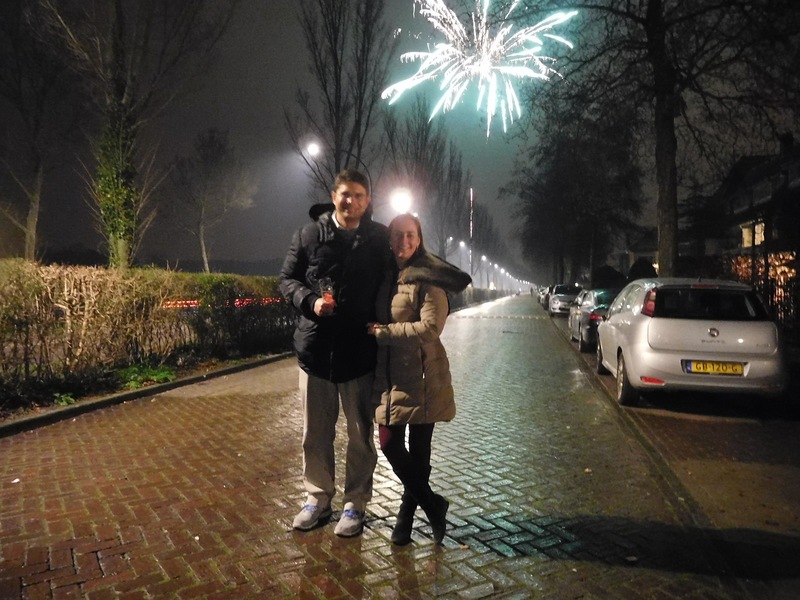 Last week, Mr. Gaudet met with an Amsterdam personal injury lawyer, Antoinette Collignon-Smit Sibinga, who told him she once lived in Groningen, the Netherlands which never had earthquakes until, after fracking, Groningen now has many earthquakes. An article in the Guardian describes the damages suffered by landowners in the Groningen due to earthquakes caused by the removal of natural gas. The Groningen landowners have been offered compensation but, generally, in amounts far lower than the actual costs for them to build new houses after old structures were damaged by earthquakes. In April 2015, a Dutch court in the Hague ordered the halting of gas production in Groningen due to earthquake concerns, according to an article published in The Globe and Mail. The Netherlands Ministry of Economic Affairs, based in the Hague, had argued to the Court that gas production caused 196 earthquakes in the region over a period of two years. The ruling required the Dutch gas company to reduce production to a minimal level. In a separate decision, a Dutch court, in 2014, ordered payment of $1.6 billion in compensation to landowners with damages caused by earthquakes induced by fracking, as reported in an online publication. In Louisiana, oil companies can obtain an order from a Governor-appointed Commissioner of Conservation to drill on people’s land without their consent. The statutory justification is to prevent the “waste” of natural resources. If a landowner refuses to enter into a lease, then the oil company can charge the landowner three times the costs for drilling (taken out of any production) as a penalty for the landowner’s refusal to enter into a lease. Consequently, there’s immense pressure upon Louisiana landowners to enter into leases to allow fracking even though it may someday cause earthquakes. To protect their rights, landowners have the option of refusing to enter into a lease and, if the oil company seeks a unitization order from the Commissioner, then submitting objections to the Commissioner. The Commission is required to hear objections and may determine whether, or not, to grant an oil company’s application. In their objections, landowners could raise the prospect of increased earthquakes as a reason for the Commission to deny any application to drill without the landowners’ consent. According to some local lawyers in Louisiana, unitization orders (which create a “unit” of land that a company can drill on, even without the owners’ consent) are readily granted, even when they are opposed by landowners. Will the serious consequences of fracking, i.e. earthquakes, around the world change the mind of a Commissioner? Perhaps. Landowners can always refuse to enter into a lease and submit their objections to an oil company’s subsequent application for a unitization order. As an alternative, landowners can insert more favorable provisions into a negotiated lease to seek protection and, in the event of harm, compensation for any damages caused by any earthquakes. A negotiated lease can also contain provisions that require an oil company to use the highest and best practices and technologies for the prevention of earthquakes and remediation of the land. 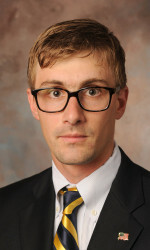 On behalf of his client, Mr. Gaudet cooperates with co-counsel in seeking creative solutions to growing concerns about fracking including Jenik Radon (who previously represented the country of Georgia in negotiations against BP Oil and currently teaches at Columbia University) and legal counsel in Louisiana. The land broker seeking the lease, Mark A. O’Neal & Associates, has sent Mr. Gaudet’s client numerous copies of a fine print lease devoid of important legal clauses (e.g. indemnification provision, damages clause) and offered a percentage of royalties; $1 per long ton for sulphur, and just 10 cents/barrel of water. The broker attached a “draft check” in the hopes that Mr. Gaudet’s client would cash it and, thereby, become bound by the fine print devoid of legal protections, which many landowners sign with little or no revisions. At one point, the broker told Mr. Gaudet there was no risk of earthquakes due to fracking in Louisiana. The Vatican recently called upon Prof. Dr. Detter de Frankopan for advice on the international legal impact of the encyclical, Laudato Si, which discusses the environment. 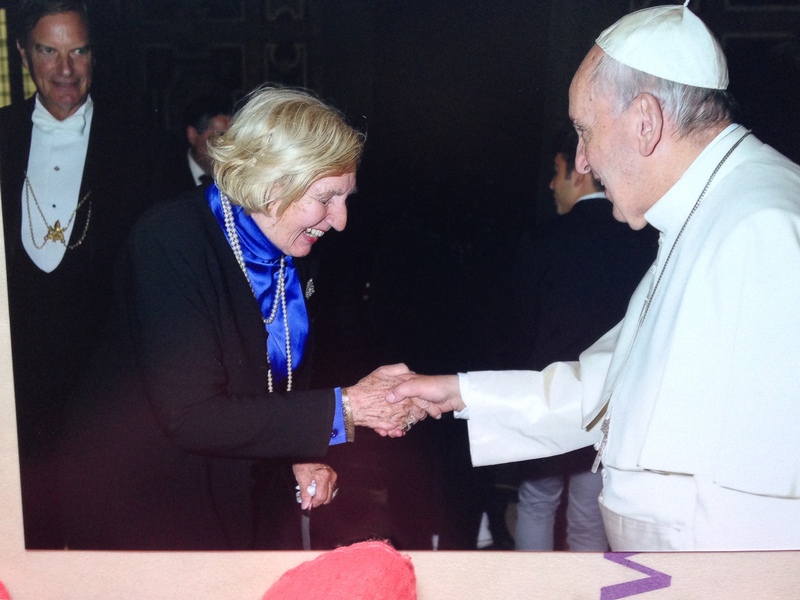 Prof. Dr. Detter de Frankopan and Cardinal Peter Turkson had a private audience with Pope Francis. The Encyclical likens earth to a sister and “mother” who “cries out to us because of the harm we have inflicted.” It asks people to protect bio-diverse systems in the Amazon, Congo, and elsewhere from “huge global economic interests which, under the guise of protecting them, can undermine the sovereignty of individual nations.” The Encyclical warns of transnational corporations with self-interested proposals to internationalize the Amazon as well as popular consumerism and the spread of a “throwaway culture,” a term the Pope has used in speeches. The Encyclical was inspired by St. Francis of Assisi who loved flowers and animals and spoke to the Earth, Sun, and Moon as his friends. Pope Francis advocates for the abandonment of fossil fuels and their replacement with renewable energy. Although he is not a Catholic, Pres. Obama appears to agree with this general direction as he recently declined to establish a Keystone pipeline and, instead, said we should keep our fossil fuels in the ground. 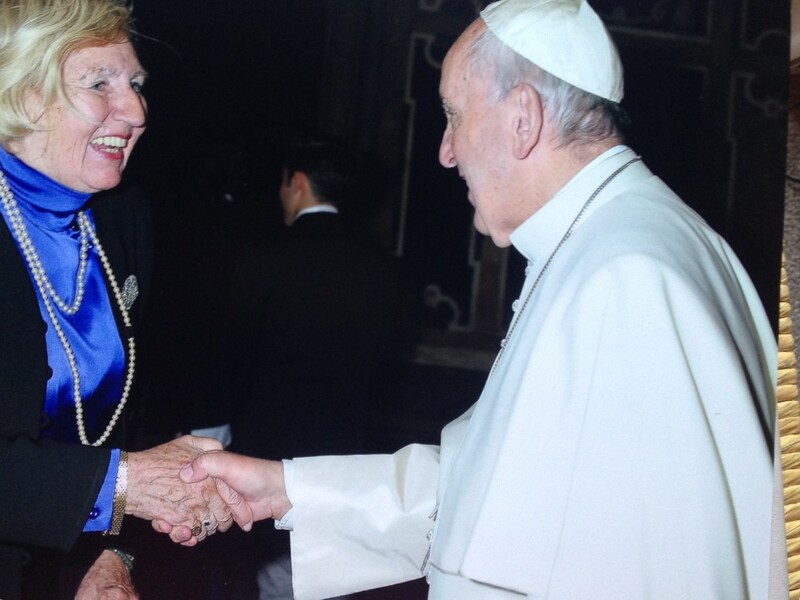 The Pope’s Encyclical is not without controversy. For instance, Catholic miners in Poland are concerned that they may lose their jobs as the result of the legal implementation of the Encyclical. As a result, Prof. Dr. Detter accompanied Cardinal Peter Turkson to Poznan, Poland to explain to the miners that legal implementation would only occur very gradually. In addition to speaking with Polish miners, Prof. Dr. Detter de Frankopan and Cardinal Turkson attended an environmental conference, Pol-Eco System Conference. The Pol-Eco System Conference: International Trade Fair of Technologies and Products For Sustainable Development and Municipal Services took place in Poznan, Poland from October 11 – 14, 2015. The conference featured special exhibitions on renewable energy, water management, environmental protection, and other matters. More information about the conference is available at this link. 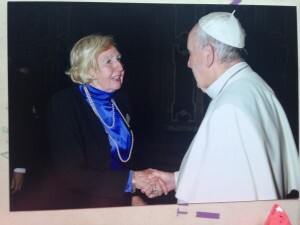 The Encyclical reflects a belief in the common brotherhood of people and, even, in the unity of all earthly creatures: “Because all creatures are connected, each must be cherished with love and respect, for all of us as living creatures are dependent on one another.” This is reminiscent of Dr. Martin Luther King, Jr.’s assertion that we are all interconnected within a single web. What is the role for lawyers? Prof. Dr. Detter de Frankopan advises the Vatican on international law and explains the legal ramifications of moral beliefs. Another example is New York lawyer Jenik Radon who advises sovereign nations on the risks in contractual agreements with the oil, gas, and mineral industry. Mr. Gaudet and Mr. Radon currently advise a small landowner in Louisiana regarding negotiations with an oil and gas company that wishes to engage in fracking. Lawyers have a role to play in writing normative values into legal contracts to ensure that the environment is not wasted or destroyed. They can give voice to weaker and less experienced parties, such as individual landowners or even small sovereign nations, in negotiations with multi-national oil and gas companies. ABOUT RJ GAUDET & ASSOCIATES LLC: the firm is registered in Seattle with office addresses in El Paso, Berkeley, and The Hague. It consists of lawyers who are licensed in Texas, Washington, New Jersey, and the United Kingdom and who work across the United States with local counsel on litigation, class actions, international human rights, international law, wage and hour matters, environmental issues, and other types of cases. Prof. Dr. Detter de Frankopan is Of Counsel.